On Wednesday September 2nd, I attended the Moth StorySLAM at Freight & Salvage coffee house in Berkeley. The Moth hosts a regular radio program called “The Moth Radio Hour” that features the true life stories of ordinary people. At this live event, produced by Anna MacKinnon, facilitators pulled 10 or 11 names out of a white bag. These names, the owners of 22 submitted stories, were then enthusiastically cheered by the audience as they mounted the stage to spin their yarn. All stories centered on this event’s theme: Betrayal. While the audience was limited in their quantitative judgment of the stories by clapping and cheering for the raconteur before and after their presentation, they were given an opportunity to participate in the proceedings as well. Before the event started, each person entering the auditorium was given a slip of paper with a question typed on it: “Describe a time when you were dishonest.” The roughly 3in by 7in format forced the individual into a concise retelling. But it also concisely proved that good stories are not determined by length. Between each story told on stage, the facilitators randomly selected for reading one to three of these little vignettes from a red container where the audience members deposited them. This same format was used at the end of the story telling for the other 11 or 12 full stories left over. Each of the remaining raconteurs spoke a few sentences to convey the “hook” of their tale. As this was my first time attending such an event for stories, I wasn’t sure whether to expect folksy tales passed down from an older acquaintance, an academically focused anecdote with a clearly delineated theme and form, or something that would be at home in the “True Confession” magazines of old. It was actually a pleasant mix of all three, where the “older acquaintance” was the storyteller themselves, relating a tale from their own past, whether as recent as 3 years ago, or in a distance youth. But sometimes the stories included a few added twists. Two put pets in the instrument or catalysis of the betrayal. One featured a personal maxim whose owner modified due the number of times it rang falsely. The very first one retold a perfidious relationship with the human inspiration for the song “You Light Up My Light,” whose number one hit status so shortly after the breakup made coping for the teller exquisitely painful. But as expect from the personal nature of betrayal, most of the events discussed took a very similar form: a hurt inflicted by a loved one. The stories scaled the elegiac range of a high school friend cavalierly revealing an episode of another’s’ “peed pants” in front of romantic interests, to the encouragement of an unsatisfying relationship until “someone better” arrived. The story that received the highest judges’ score was one of several that related the tale of a(n almost) significant other that decided to end the previously enjoyed relationship. The judges did not discuss their reason for their scores, but I suspect this one received their highest approval because it was recent enough to still provoked tears in the teller during the relating, and was one for which the teller revealed the ongoing search for resolution. Plus, it involved the classic rom-com situation of boy meets girl, girl relegates boy to permanent friend status, but realizes her true feelings just as boy decides to move on to greener pastures. I enjoyed all the recounts, and especially how the storytellers indicated their particular salient point of their tale. One of the audience’s clear favorites highlighted serendipity’s favor to fools and small children in the form of an unpayable debt to a loan shark, rendered void by said shark’s unexpected death, and overdue accounting. I told my girlfriend our breakup wasn’t her fault. It was. I told my dad I loved him. Even the intimations of the untold stories proved fascinating, like the raconteur that briefly stated he wondered how an old acquaintance was doing now, but not knowing was teller’s price for his betrayal. The facilitators encouraged us to talk to the storytellers after the event ended, especially to the ones that could only tell their hook. These stories would be comfortably at home in a written collection of short stories. At least one of them is part of the teller/author’s current writing project. All of them reminded me that inside each human is at least one story of their life just waiting for the opportunity to leak toward an appreciative light. Guest Blogger Tabby is a writer and podcaster. If you missed it, she’s also the on-camera interviewer for Indie Arts & Tech for community tv. From sustainable beekeeping tips in Washington State to Death Race bicycling advice in Norcal, SGL blog editors bring you practical tips to make progress through your bucket list. Oftentimes making progress means dealing with resistance from others. 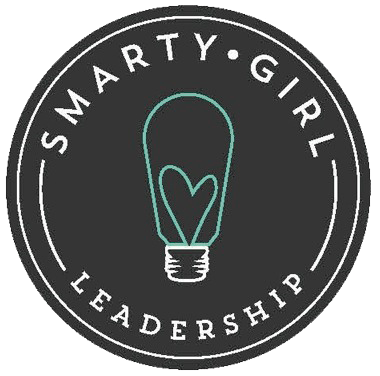 Our Editors, with Associate Editor Erica Tyler taking the lead, invited SmartyGirl Lynn Krug (Guest Reporter for the recent The Moth Story Slam), back to give her personal reaction to the controversial thought-starter “Lean In“. SmartyFellas and SmartyGirls are welcome to chime in below in the comments section. I was admittedly peevish about the book before I read it, because unlike Sheryl Sandberg, I am not in the upper echelon of management, or from a family of privilege. As a single parent for 16+ years I have spent about 26 years of my work life in construction and engineering, so who better than I to know what discrimination results in, feels like and how it exhausts you? Well, “Lean In” reminded me of the stories of Stanford women doctors and engineering staff whose accomplishments have also been devalued for being female. From my personal perspective, there has been a shift in how feminism is viewed. In the 1970’s the US had programs that actively encouraged women to apply for nontraditional employment and were offered needed support. However, somewhere in the 1980’s/1990’s a shift occurred where encouraging women apply for nontraditional careers was seen less important, so where does that leave women now? As a founder of “Women in the Workplace”, I worked to try to get women in local government to recruit women into nontraditional labor fields and encourage women to participate. I held professional panels, campaigned women in government, and pitched to students. It was an exhausting endeavor and yet I felt that I did not make a dent. We cannot do this alone. However, I feel reenergized by Sheryl Sandberg’s book “Lean In”! Sandberg talks about working and planning with your family to include them and get their support. This summer I helped a trade laborer encourage his wife to go back to college for her RN work. I used Sandberg’s argument about having short term goals (three years of college) for long term gain for the family. Sure, they would go into debt for the short term, but what was the next 40 years going to look like? And how can he help his wife with this goal and help make it easier for their family? There will never be a safe or right time, and in the current economy things will not get better unless you take action on your own to prepare for your future. “Lean In” says men are promoted on potential, while women are promoted based on past experience. As an example, I recently heard of a Senior Management job posting and immediately went to a co-worker in that field, pitched her on the job along with how to prepare for the interview. My co-worker was afraid of the customer service aspects of the position because customers can be unpredictable. However, I stated that as long as she learned guidelines of the position and stuck to the rules and regulations she would be able to do the position. We have to stop accepting the status quo out of fear. The old stagnating choice to “fit in” will not help any of us. Only by “helping each other to succeed” and making that viable for women (and men) will we all be able to “Lean Forward”. Read “Lean In” – and then give copies to your co-workers, classmates, friends and family. Start the conversation, and act for us all. 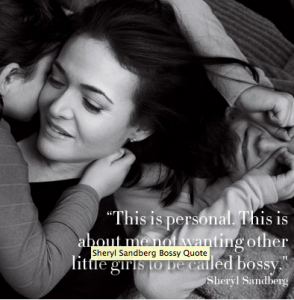 Lynn Krug expresses her thanks to Sheryl Sandberg for having the courage to write this book. Krug encourages SmartyFellas and SmartyGirls to read this book and start paying it forward in the workplace. Guest Blogger Lynn Krug joins us today with her review of the live storytelling event in San Francisco on Tuesday the 29th. What are 3 Fast Facts about Krug? 1. 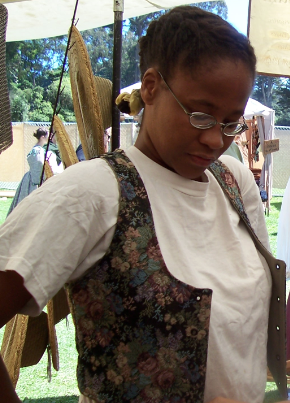 She is a colleague at the Palo Alto Media Center, an award-winning community tv collaborative in California. 2. She is known for her art critiques. 3. She and her college-aged daughter share a love for National Public Radio (NPR). Why are the Palo Alto Media Center and our Seattle SGL Media branch teaming up for this review? SmartyGirls and SmartyFellas value the art of storytelling and the use of technology for excellent audio. 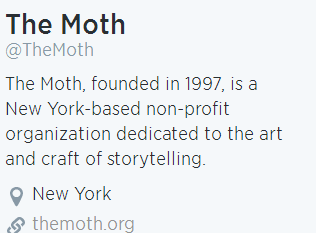 The Moth is a nonprofit headquartered in New York. Its product? A radio podcast of true stories. Storytelling events this well produced? We wouldn’t miss it. Special thanks to KALW’s Matt Martin and The Moth’s Anna MacKinnon and Andrew Slusser for the invite. Lynn Krug reports that San Francisco needs more volunteer storytellers to take the stage. The “Public Works” Performance space at 161 Erie in SF. “Real people telling real stories for 5 minutes”. The Moth Story Slam was a first experience of live story telling for me. I must reveal, I already held a jaw dropping bias for the Moth radio show, but it was a complete surprise what the experience of “live” is when the audience (sitting next to you) are also the performers. The Moth Story Slam at Public Works is an open fluid space with a celebratory atmosphere of happily anxious story tellers and their warm and encouraging audience. Judges are selected from the audience, and the speakers are selected at random. Memorable team names included: “Transformation”, “Fourth Date” ( with the daters), and “Loose Change”. The host for the evening, Dhaya Lakshminarayanan sets a great pace with fast and witty humor for the audience, prompts the audience to wildly nurture each story teller up to the stage. Each story teller is randomly selected from their entries by Dhaya. Once selected, it is like watching both semi professional and amateurs climb the ladder for the high dive. You have no idea what to expect. This isn’t Ted Talk or Oprah-lite. The Moth stories are about being drawn in to a personal story. A story teller is best when fresh, raw – and true to who they are. Over rehearsed or stories that reveal the ending early won’t work. it is all about the authenticity and the twist at the end. There is no “hook” for the performers. There is only the audience’s anticipation and their willing support. Unlike the radio performances where you might change the dial, each 5 minute live experience may leave you rolling with laughter, paused in thought, or writhing in your seat. With each speaker, I began challenging myself to be an active participant and go places emotionally that I would not normally experience. Of the performers, the night launched with Silvio Menendez’s hilarious recounting of being a hospital Spanish interpreter in the operating room interpretting for a surgeon and woman having brain surgery while she was awake awake! A few speakers , as would be expected with the theme “Altered”, recounted drug experiences, as was told in a recounting of a Burning Man experience that was screamingly inappropriate and funny…the advantage of unedited live theatre. Mara Berg, was judged the winner with “I learned how to love at my first love’s funeral.” Her edgy discomfort and displacement of time and space on stage, only made the story more real for how this experience could unexpectedly happen to someone, and bring them to a place where she (and now we) celebrate the life of her first love. Reality TV has nothing on The Moth Story Slam. Get real. Get live. Connect with KALW and tell your story!